100 students performed at the Heritage Music Festival, taking highest scores overall, according to Waterville schools band director Sue Barre. 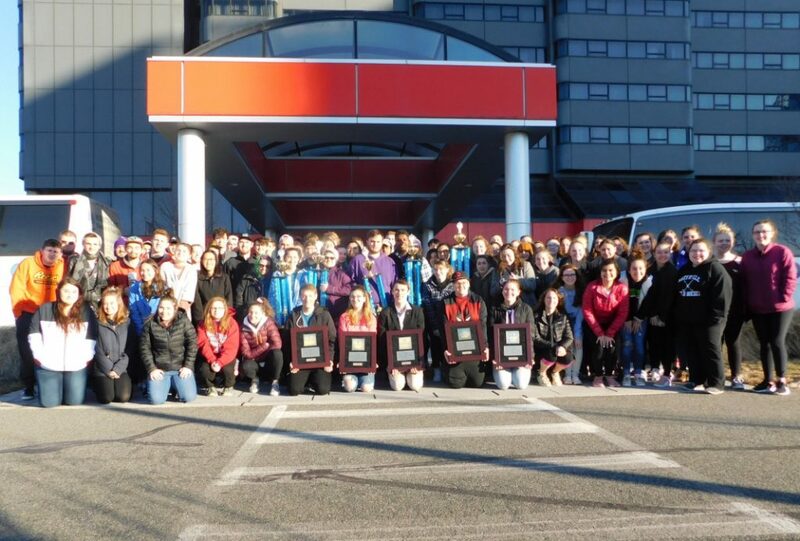 Waterville Senior High School students swept multiple music awards last weekend at the Heritage Music Festival in New York City, taking the festival sweepstakes award for garnering the highest scores overall in the competition. Eighty-three students from Waterville took part in the festival at Riverside Church, where five ensembles performed and all five earned gold medals, according to Waterville schools band director Sue Barre, who accompanied the students. Waterville musicians competed against 700 to 800 students from California, Florida, Maryland, Ohio and Maine who were judged on a scale used nationwide at Heritage Festivals, according to Barre. Waterville chorus, sound check, strings, band and jazz band earned gold ratings and six students out of the entire festival were recognized for outstanding musicianship. Four were from Waterville, according to Barre. They are Alex Lecrone, for sound check; Soren Nyhus, for strings; Natalia Fuentes, for strings; and Aubrey Fossett, for band and jazz band. Waterville got the Best Overall Band Program, the Best Overall String Program and the Best Overall Instrumental Program awards; the Adjudicators Award for Concert Band, with an average of 92 or more on scores for superior performance; and the Festival Award for Best Program. Each school was asked to nominate a student who not only is a strong musician but also a good school citizen, scholar and overall person. Soren Nyhus was chosen from the entire festival, Barre said. She said that over the two-day festival, there were about 30 performances and only six students were recognized for individual achievement. “To have four of them from Waterville was just quite astounding,” Barre said. She added that judges asked how many students at the festival received private music instruction, and not a large number of Waterville students are able to get such instruction. The judges said they wished school board members could have been there to witness the students’ ability and performances, according to Barre. Many in the community supported fundraising efforts for the trip, according to Barre. Three Waterville teachers, including Barre, and chaperons took the bus trip for a total of 100 travelers, and they saw “Hello Dolly” on Broadway, visited Lincoln Center and Rockefeller Center and strolled through Central Park. They left Waterville on March 15 and returned Sunday. The students are freshmen through seniors.